It is important to change your Wi-Fi password as this creates protection from unwanted access to your personal information, and from other people committing fraud and theft. This article will show you how to change the Wi-Fi password using a Linksys Wi-Fi Router. If you are using a Linksys Smart Wi-Fi Router, click here to learn how to change the Wi-Fi settings using your Linksys cloud account. You can also watch the video tutorial here. The Wi-Fi password is NOT the router administrator password. 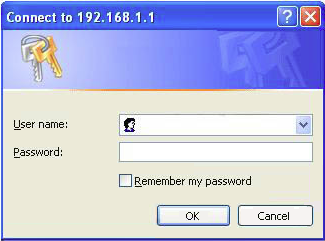 To learn more about Linksys router's administrator password, click here. Images and steps may vary depending on your Linksys router's model and version. Launch a web browser, enter “192.168.1.1” in the Address bar then press [Enter]. NOTE: If your router's IP address has been changed, click here for instructions on how to check it. Enter your credentials in the fields provided. The User name field is left empty by default and the administrator password is admin. If you personalized your router password, use that instead. If your password is incorrect, or if you've lost or forgotten it, you may need to reset your Linksys router to factory settings. To learn more, click here. To learn of the different ways in setting up your Linksys router, click here. Click the Wireless tab, then click the Wireless Security sub-tab. NOTE: For some routers, the wireless security settings are under Wireless > Wireless Settings and displayed in the Manual option. In the Passphrase field, enter your preferred Wi-Fi password. NOTE: There are different Wi-Fi security modes for your Linksys router. To learn more, click here.